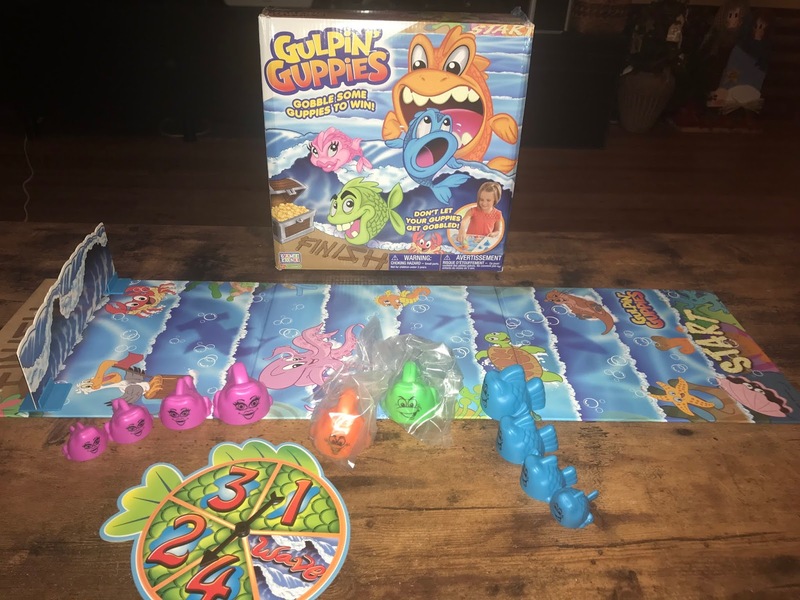 Gulping Guppies Teach Basic Counting and More! Gulping Guppies is a simple to play game that helps little ones learn the concept of simple counting. 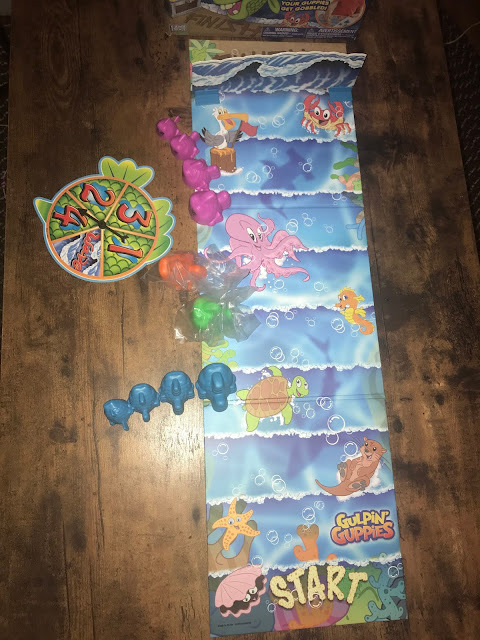 The game has four sets of four guppies who race to get through the ocean before the wave washes them away or other guppies gobble them up! This is a simple concept game that is easy and fun to play. It teaches about counting, taking turns, and patience. The board is cute and colorful and little ones can even just play with their fishes on the board and create their own fun play. Disclosure: I received this product to review for my honest personal opinion. This post contains affiliate links.